Sir Lady Java became increasingly popular, packing local bars and clubs to see her performances, authorities began targeting her directly. Recognizing this violation of Her Civil Rights and the impact it had on other local trans people, she fought back. Joining forces with the ACLU, Sir Lady Java took Rule No. #9 to court and brought the LGBT community together through public rallies and protest. Her legal challenge was thwarted because only a club owner could appeal, and, no owner came forward to fight on Her behalf. While She was not able to get the ordinance struck down, because She didn’t have legal standing to file the lawsuit, Sir Lady Java nonetheless paved the way for Rule No. #9 to be “struck down” two years after. 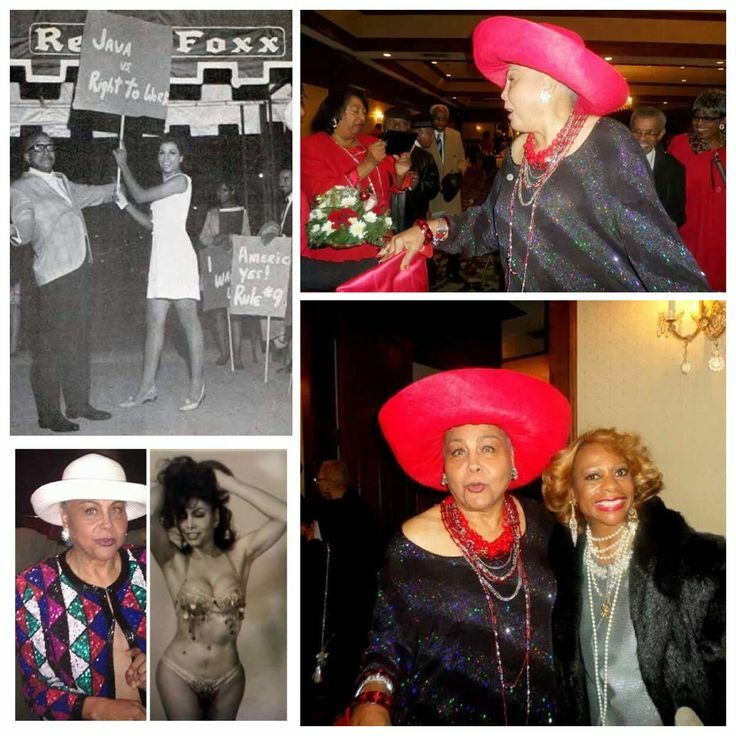 Sir Lady Java had some very public Friends at the time like Red Foxx, Lena Horne, Sammy Davis Jr. Richard Pryor and the list goes on and on. This was in addition to the Many Attorneys, Judges etc. that frequented Her Sold Out Shows. Now at 78 yrs. old & rapidly recovering after a stroke, Sir Lady Java continues to be an Open voice for the Gay, Lesbian & Trans Gender Community. We ‪#‎Love‬ You ‪#‎LadyJava‬. This entry was posted in Just Pics, Just words, Misc, miscellaneous, Uncategorized and tagged actor, civil rights, costumer, Dancer, female impersonators, gay rights, Jim Brown, Lena Horne, LGBT Los Angeles, Red Foxx, Richard Pryor, Sammy Davis Jr, Sir Lady Java, speak out, trans gener advocate, TransPride 2016 by fernOnline. Bookmark the permalink.